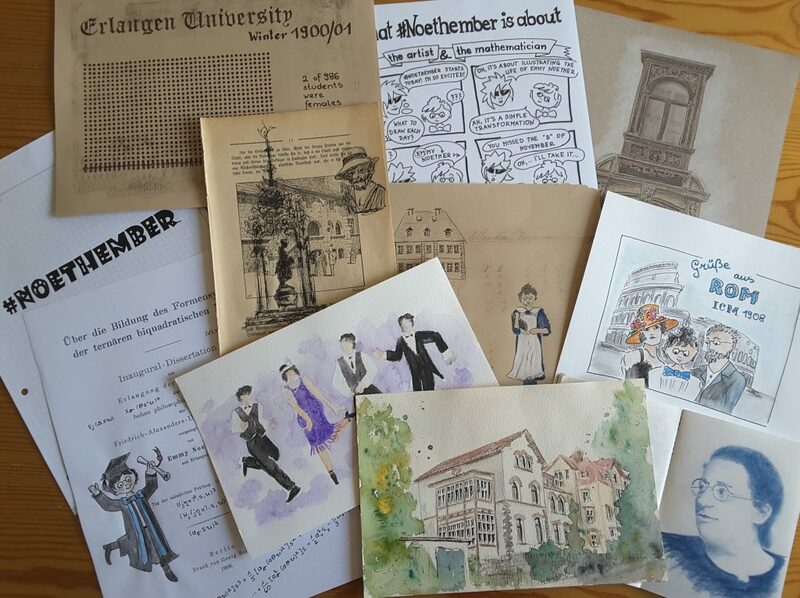 Last November, under the banner of #Noethember, we helped organise an international drawing challenge themed around mathematician Emmy Noether. The project resulted in a huge number of drawings and a warm feeling among those who participated. 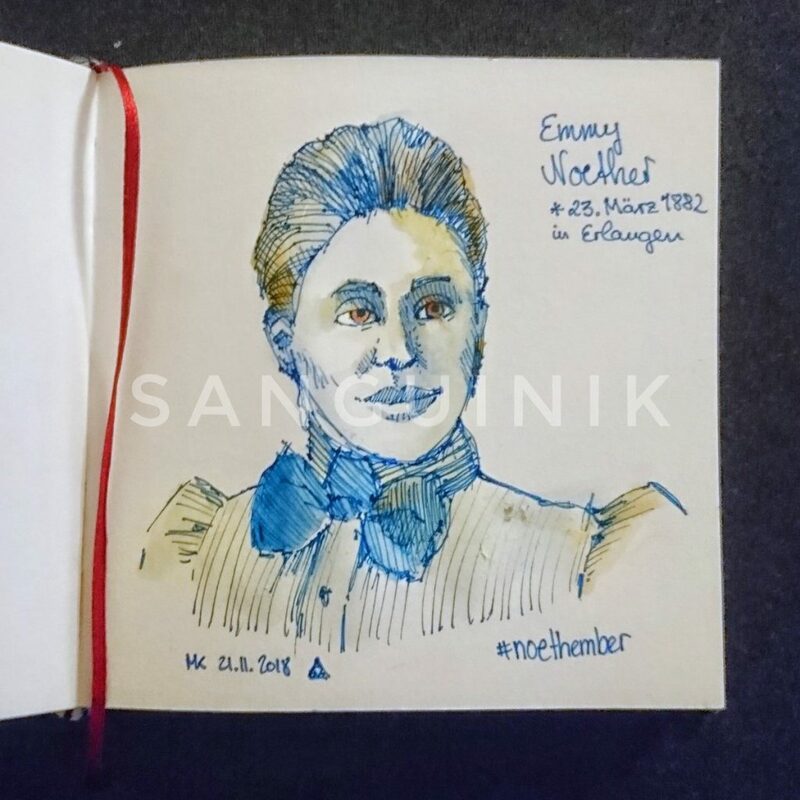 For 30 days, people across Twitter shared their sketches illustrating facts about Noether’s life and work. 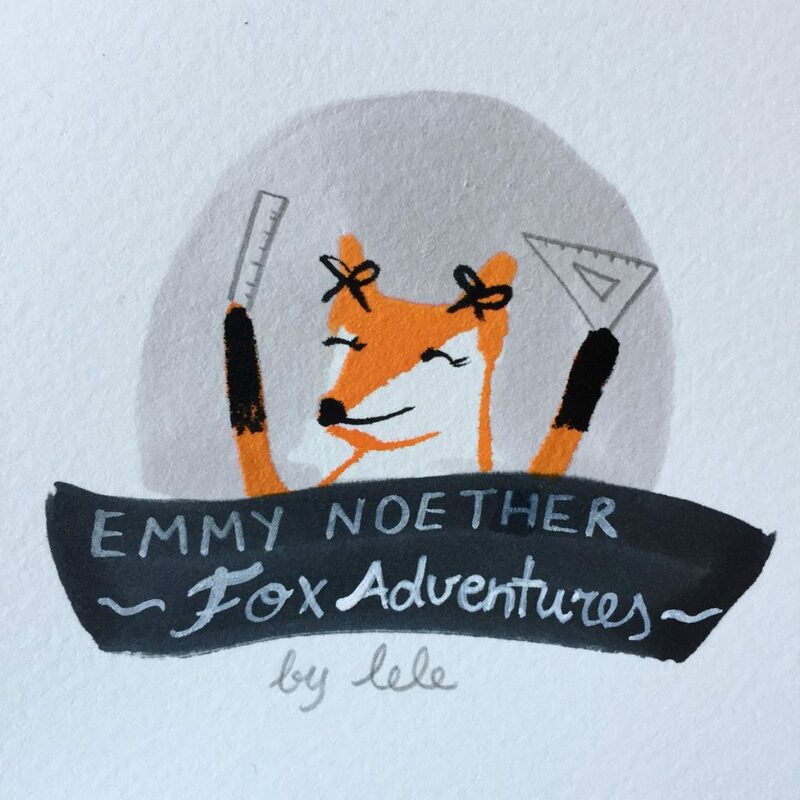 Thursday is the first day of #Noethember, our month of Emmy Noether-themed illustration (see our previous post on this for more info). Anyone can take part, and share their work on Twitter (or Instagram) using the hashtag. Below is a list of 30 topics for you to use to guide your drawings, one for each day in November. We’ll retweet and share our favourites from @Aperiodical, and at the end of the month we’ll round up some of the best. 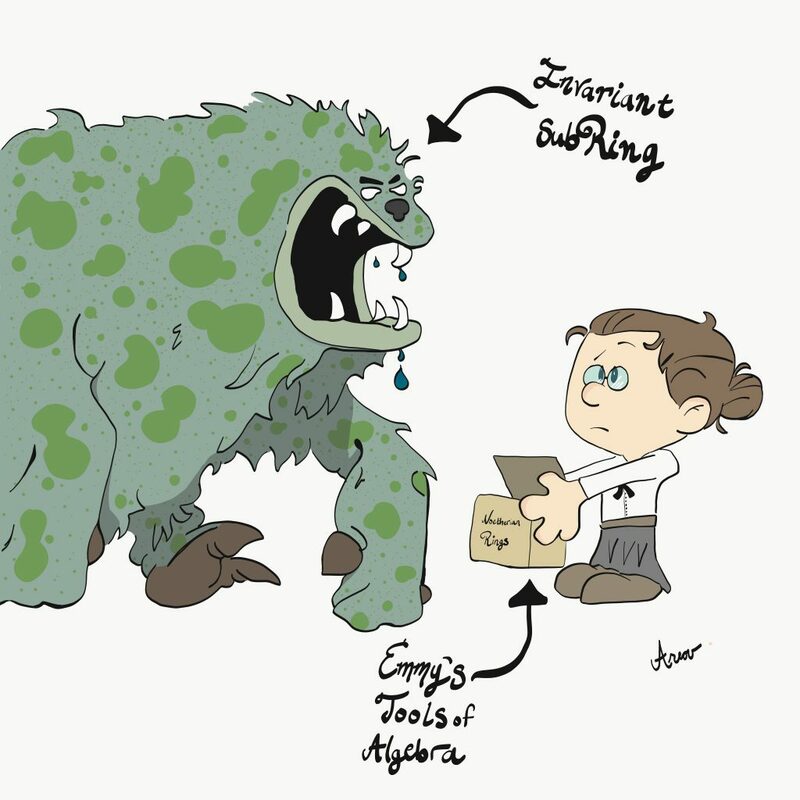 Anyone, of any level of skill or experience, is welcome to draw, and since our topics are fairly specific, you shouldn’t worry if you feel like you’re drawing the same thing as others – but interesting/alternative takes on the facts are also good! Our ringleader (LOL), Constanza Rojas-Molina, hopes to be drawing something every day, but you shouldn’t feel pressure to produce a beautiful full illustration for each fact – a tiny sketch is fine, and if anything particularly inspires you can spend more time on it. Emmy Noether was born on 23 March 1882 in Erlangen, Germany to Max Noether and Ida Kaufmann. 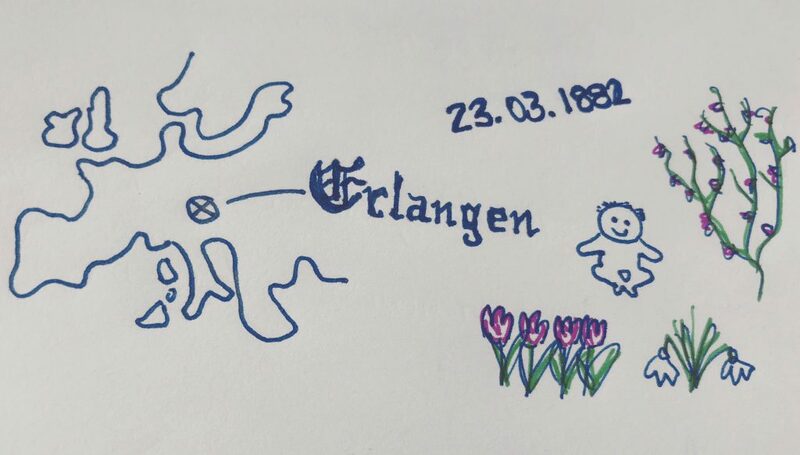 From 1889-1897 Noether attended Höhere Töchter Schule in Erlangen (girls school). She studied German, arithmetic, French and English, and learned the piano. When she was young, she loved dancing and “used to look forward to family parties”. Emmy Noether’s father Max was also famously a mathematician, and so was her younger brother Fritz. In 1900 she decided to attend university in Erlangen – but as girls were not trained to prepare for the entrance exam at school, Emmy had to spend 3 years preparing for the exam independently. At Erlangen, Noether was one of only two women in a university of 986 students, and was only allowed to audit classes rather than participate fully. She required the permission of individual professors whose lectures she wished to attend. Although it had been well received, Noether later described her thesis and a number of subsequent similar papers she produced as “crap”. After completing her dissertation in 1907, she worked at the Mathematical Institute of Erlangen without pay for seven years, since at the time, women were largely excluded from academic positions. In 1908 she was elected member of the Circolo Matematico di Palermo. 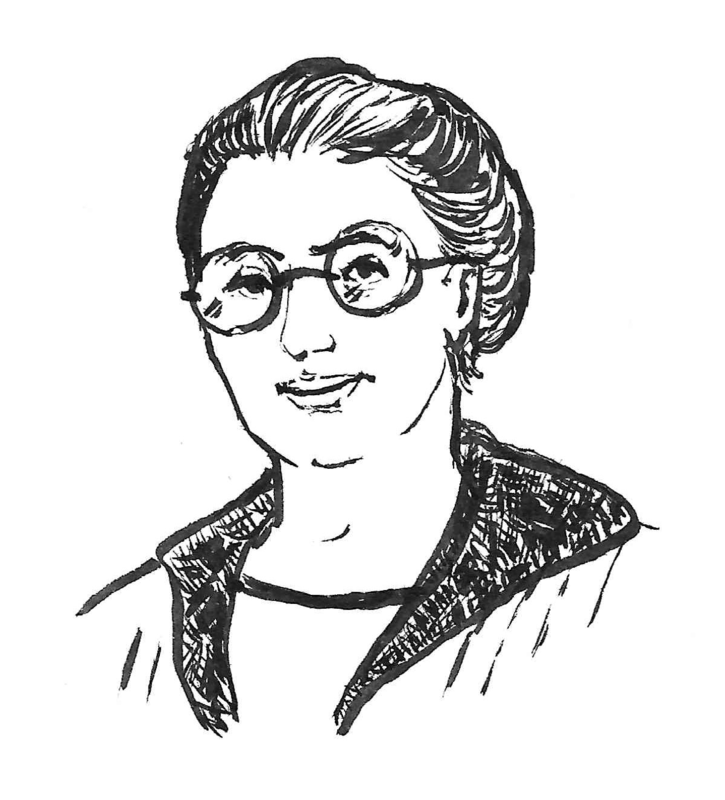 In 1909 she was elected member of the Germany Mathematical Society, and started giving lectures at their meetings. She moved to Göttingen on the invitation of David Hilbert and Felix Klein. Klein and Hilbert asked for a position for Emmy, and for her to be able to pass the Habilitation and become “Privatdozent” (person who has permission to lecture at university). For this, the whole philosophy faculty had to agree, which included philosophers, historians, and philologists, who refused. Hilbert solved this by having her lecture in his stead. In 1932 she received the Alfred Ackermann-Teubner Memorial Prize for the Advancement of Mathematical Knowledge, and was the the first woman to be Plenary speaker at the International Congress of Mathematicians. In 1933, Nazis forced the retirement of Jews and all civil servants with at least one Jewish grandparent. This included university staff, and Emmy left her post at Göttingen. Bryn Mawr University invited Emmy to move to the US as a guest professor, thanks to a grant from the Rockefeller Foundation. Many other displaced German academics also found places to work in the USA during this time. In 1934 Noether also later lectured at the Institute for Advanced Studies at Princeton, but she found it less welcoming, calling it “the men’s university, where nothing female is admitted”. Much of Noether’s work in abstract algebra was studying rings – sets of objects with two different ways to combine them – such as the ring of whole numbers (integers) with addition and multiplication. Of particular interest are ideals, which are particular subsets of a ring. A Noetherian ring is a ring with some extra properties – in particular, one that satisfies the ascending chain condition on left and right ideals. This means a sequence of nested ideals, each of which sits inside the previous, cannot continue getting smaller forever. If a ring has this property, it immediately follows that it has many other useful properties. Rational numbers, real numbers and complex numbers (and in fact all fields) are examples of Noetherian rings. The Lasker–Noether theorem states that every Noetherian ring is a Lasker ring – it can be considered an extension of Fundamental Theorem of Arithmetic, in that it shows algebraic sets can be decomposed in the same way numbers decompose into primes. Noether’s (first) theorem states that every differentiable symmetry of the action of a physical system has a corresponding conservation law. 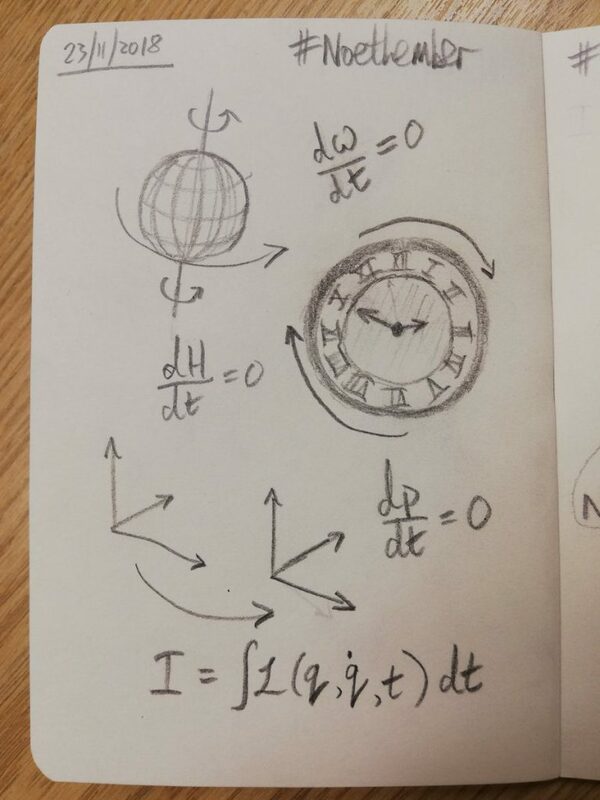 It explains the mathematical origin of conservation of energy and momentum in physics. In 1958 the University of Erlangen organised a meeting, invited her former students and their students, to commemorate the 50th anniversary of her degree and discuss her work, applications and influence. Noether was featured at an exhibition at the 1964 World’s Fair devoted to Modern Mathematicians – but was the only woman represented there. A street in her hometown of Erlangen is named after Emmy and her father; Emmy-Noether-Weg (Emmy Noether Way) in Göttingen is also named after her, and in Unterschleißheim, near Munich, a ring-road is cleverly named Emmy-Noether-Ring. Many other things have been named or renamed after Noether, including her former high school, a crater on the moon and a minor planet, and many other awards, scholarship programmes and university buildings. LEGO have now released several Women in Science sets, featuring famous female scientists – but no Emmy Noether minifigure. What should it look like? What other toys could celebrate her life? For Emmy Noether’s birthday in 2015, Google celebrated with a Google Doodle, which displayed many of the areas to which she contributed, including topology, ascending/descending chains, Noetherian rings, time, group theory, conservation of angular momentum, and continuous symmetries. The month of October is known to illustrators and doodlers on Twitter by a different name: #inktober, started in 2009 by illustrator Jake Parker. 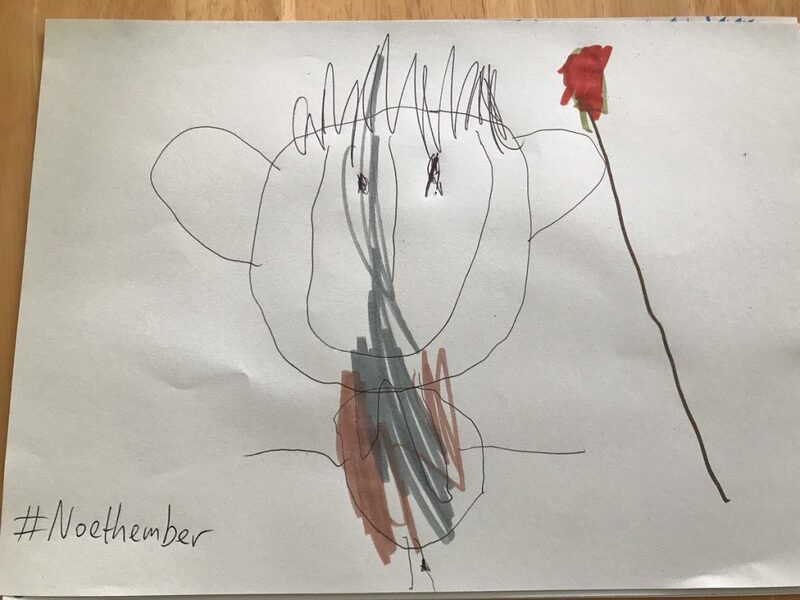 The challenge is to draw at least one thing each day in October, using ink, and post it on Twitter. 31 days, 31 drawings, and a given theme for a doodle each day. It’s a way to motivate and encourage artistic output, which can be especially helpful if you’re in a bit of a slump creatively, but also a chance to share some nice drawings and have a bit of fun. 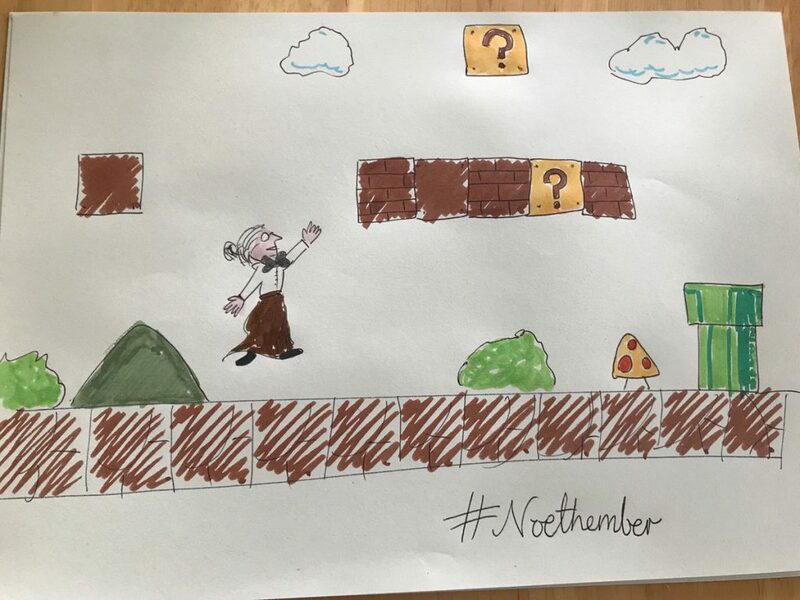 Mathematician, blogger and illustrator Constanza Rojas-Molina has had an even better idea, and we’re helping her organise #Noethember. 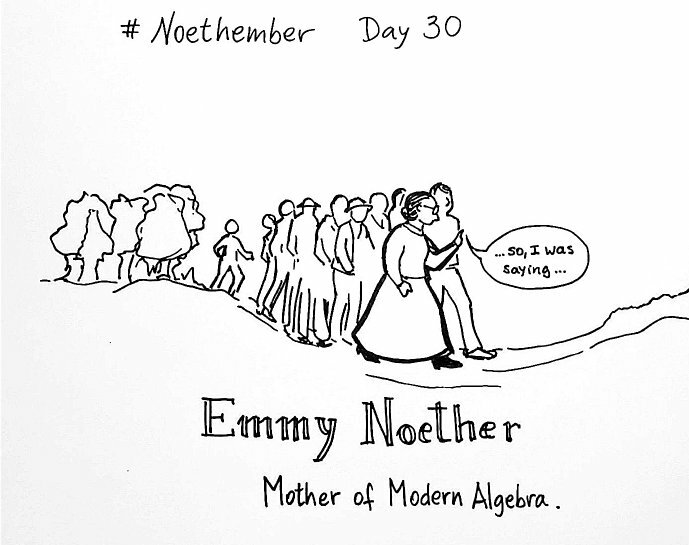 It’s the same idea – 30 days, 30 drawings, but this time each day the theme is a fact or story about the life and work of mathematician Emmy Noether. 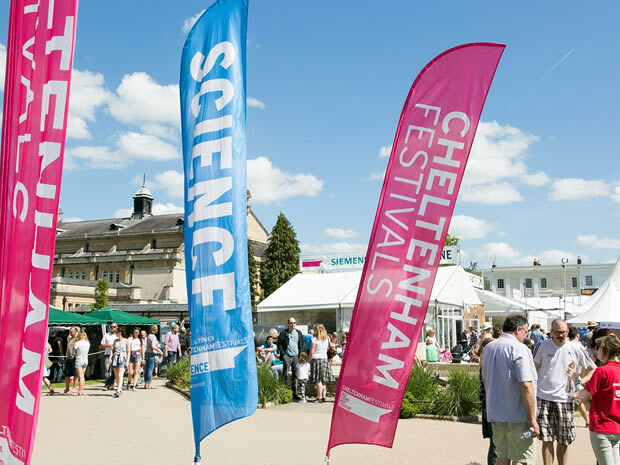 We’re pronouncing it ‘nert-ember’, since Noether (Nöther) is pronounced with a hard T.
Guest author Kevin Houston has written a round-up of maths-related events at next week’s British Science Festival. 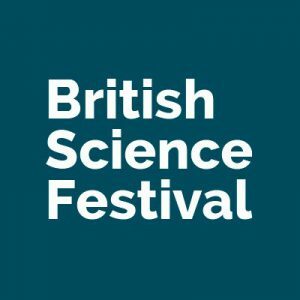 The British Science Festival is taking place in Hull and the Humber 11-14th September. There are lots of talks so I’ve put together a handy guide to talks with a mathematics-related theme.